For more than 35 years, Attorney Mike Rudolph has represented people accused of Felony and Misdemeanor criminal offenses, drunk driving offenses and various traffic offenses. In addition to being a walking encyclopedia of knowledge on criminal and drunk driving law, Attorney Rudolph goes to the mat for his clients, fighting for their freedom. When you call Attorney Rudolph about your case, he dives in with both feet, gathering key information, giving you valuable and immediately applicable legal advice. He's a straight-shooter. If you don't need an attorney, he will tell you. If you can handle the case yourself, he will tell you that, too. And if you need him, you will rest reassured that you have done all you can towards your defense and hired the attorney who will help you reach the best possible outcome. 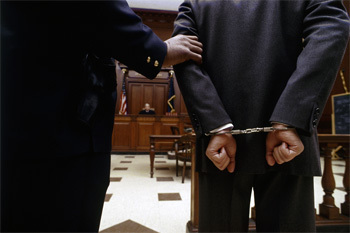 If you are facing criminal charges, call Attorney Rudolph (at 920-730-8533) to discuss your criminal case. Attorney Mike Rudolph’s 35 years of experience, presence in the courtroom and proven track record are exactly what his clients look for when selecting an attorney for Criminal & Drunk Driving Defense. Rudolph Law Office can help. Under Wisconsin law, theft is a property crime. A theft occurs when a person intentionally and knowingly takes and carries away the property of another without consent. Embezzlement is a theft crime. A theft crime is codified under Wisconsin law as a crime against property. Embezzlement is a frequently-charged crime in Wisconsin. Under common law, burglary was the breaking and entering into the dwelling of another at night with intent to commit a Felony therein. Wisconsin Statute 943.10 has expanded upon that definition. Under Wisconsin law, reckless homicide may be charged in the first degree (First Degree Reckless Homicide) or the second degree (Second Degree Reckless Homicide). Please feel free to contact Attorney Rudolph directly at 920-730-8533 to discuss your case.